Becoming a U.S. Citizen is a decision our office recommends to eligible Lawful Permanent Residents, as it offers security to those who have decided to live and work permanently in the United States. Some other valued benefits include the right to vote and the right to travel or remain outside the U.S. indefinitely. U.S Citizenship (Form N-400) Appeal (Form N-336). I have a Green Card. Can I file for U.S Citizenship? • Have fulfilled either a three or five-year period of continuous residence and physical presence in the United States (depending on the terms of the Green Card issued). • Have registered for Selective Service (if required) see Selective Service question. • Be resident in the State where you plan to file for at least three months prior to filing the N-400. • Have knowledge and understanding of U.S. history and government (test material is supplied by USCIS). • Have good moral character. • Willingness to adopt and defend the principles of the U.S. Constitution. • Have not deliberately omitted or misrepresented any information on your Green Card application (e.g. did you list ALL of your children). • Have filed U.S. Federal Tax Returns since issuance of the Green Card and do not owe taxes (if you owe taxes you must have a payment plan in place with the IRS or other government agency for which you owe taxes). • Never knowingly and falsely claimed to be a U.S. Citizen (e.g. on a voter registration card or mortgage application). I did not register for Selective Service. Is this a problem when I file for Citizenship? All Lawful Permanent Residents or Green Card holders who are male and between the ages of 18 – 26 years, are required to register for Selective Service (females are not required to register at this time). If you failed to register for Selective Service you will be unable to prove ‘good moral character’ for the requisite five previous years prior to the filing of your application for Citizenship. As a rule of thumb, if you missed the window to register, an applicant should wait until age 32 years before filing a Citizenship application. More information is available at the Selective Service System website. You can also obtain proof of Selective Service Registration using the online verification form. What are the most common reasons to deny U.S. Citizenship? Some of the most common reasons to deny a Citizenship N400 application are listed below. • Misrepresentation on original the Green Card application. • Failure to register with the Selective Service after receipt of the green card (applies to males between 18 and 26 years of age). • Unable to read, write or speak English. It is important to know that once an N400 is denied USCIS may seek to revoke the Green Card for certain immigrants with criminal convictions or if certain misrepresentation were uncovered during the N400 Process. If this happens, USCIS will seek to place you in removal (deportation) proceedings where you will be offered the opportunity to defend your legal status. My U.S. Citizenship application was denied. What can I do? Denied Citizenship applications can be appealed by filing Form N-336. The N-336 must be filed (received) by USCIS within thirty days of the date of the denial of the Citizenship application. The reason for denial must be clearly addressed and countered in any appeal. If USCIS denies an N-336 application you have the right to appeal the decision to the federal district court. I am a Green Card holder living outside the U.S. Can I apply for U.S. Citizenship? No. You are required to live in the United States prior to filing your Citizenship application. In addition, you must have lived for at least three months within the state in which you are filing your application. Please note that if you are a Green Card holder living outside the U.S. for a period longer than one year you must have been granted permission by USCIS to remain outside of the U.S. for more than one year prior to leaving the United States. I attended my Citizenship interview months ago. I have not received a date for my Swearing-In Ceremony. What can I do? Immigration adjudicates N-400 U.S. Citizenship applications during an interview only if the applicant’s security background check has cleared. (This is in addition to the applicant meeting all other requirements). If the security check has not cleared by the time you are interviewed a delay can occur during this phase of the process. Months and in some cases years can pass without adjudication or the issuance of a swearing-in date. By law, immigration is required to adjudicate the case within 120 days of the date of interview. If 120 days has passed since the Citizenship interview, I suggest you schedule an INFO PASS via our helpful links section. This will link you to Immigration’s website (directions are easy to follow). Once you have your appointment in hand, visit your local office and try to determine the status of your case. If the situation remains unresolved consider contacting your local congressman or congresswoman’s office for assistance. If the issue continues past an acceptable time frame, you can file a legal action against USCIS by filing a Mandamus Complaint. Typically, an applicant will need to show the administrative steps taken in an attempt to resolve the situation, so keep clear dated records of all the attempts you personally make to resolve the delay. Filing a Mandamus is a legal argument that requires the expertise of an immigration attorney. 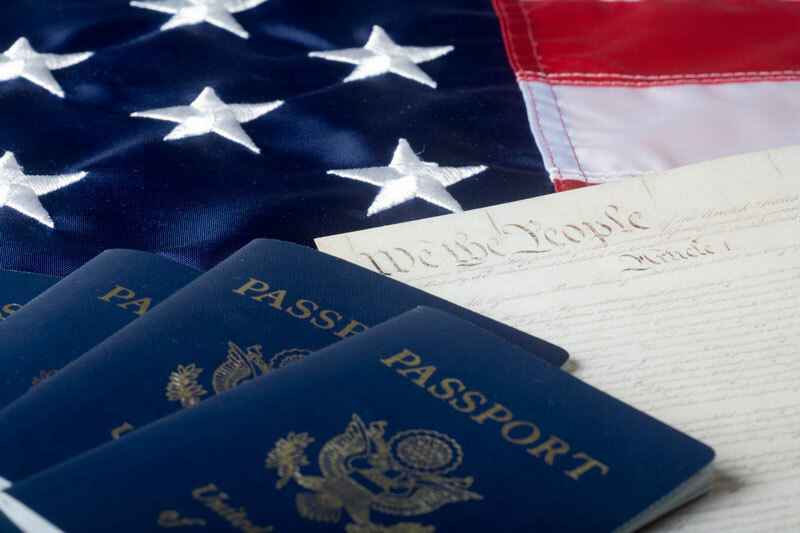 Attorney Jon Jessen and his staff have helped numerous clients with their US Citizenship applications. • That correct paperwork is prepared and filed. • Form N-400 is correctly populated. In addition, you have the right to have a licensed immigration attorney accompany you to your citizenship interview. Choose an attorney with experience and expertise specifically in the field of US immigration law. Confirm that your attorney is a member of the American Immigration Lawyers Association (AILA is the only legal association in the United States for immigration attorneys). The Law Office of Jon E. Jessen is a member in good-standing of AILA. Establish that the Immigration lawyer has expertise with your specific case type.